Here is a screen shot from Training Peaks. I felt good during the interval but after it I was spent for nearly 10 minutes. The interval was through a section that had traffic signals and a couple of rollers hence the spikes in power. 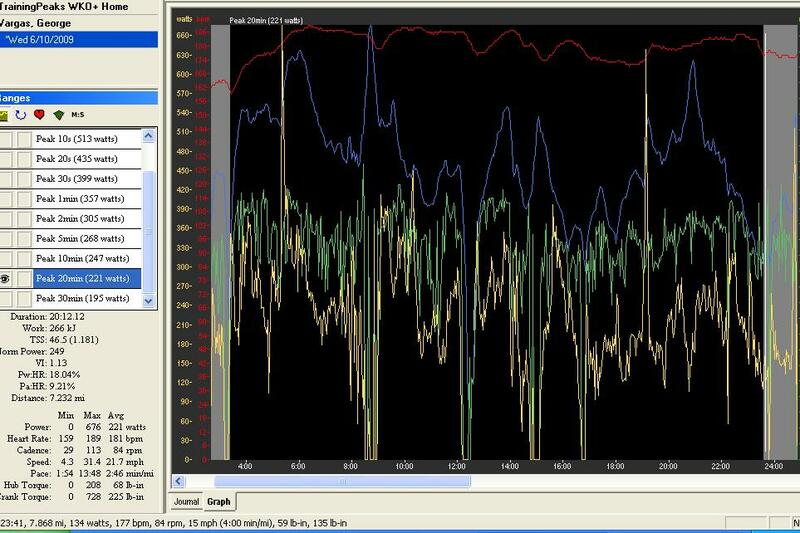 This entry was posted in On My Commute, personal records, power charts by REV Cycling Directeur Sportif. Bookmark the permalink.